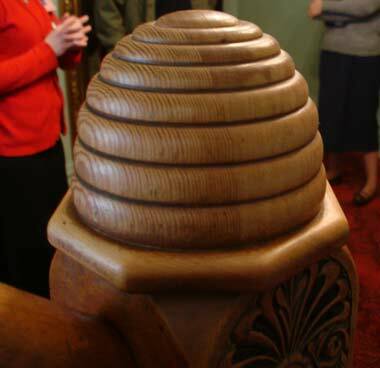 Wooden beehive staircase post at historic Beehive House in Salt Lake City, Utah; photo by Katie the scrapbook lady on Flickr (noncommercial use permitted with attribution / no derivative works). 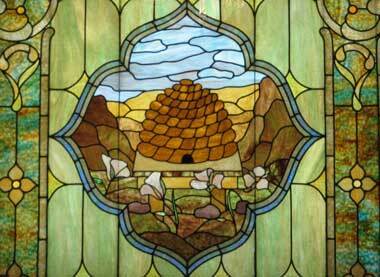 In 1959, Utah designated the beehive as the official state emblem (along with the state motto: "Industry"). Industry is directly associated with the symbol of the beehive - early Utah pioneers had very few available resources and had to rely on their own "industry" to survive. In addition to the beehive featured on the state flag and state seal, Utah also recognizes the Beehive Cluster as the official state star cluster, Utah's nickname is The Beehive State, and of course the honeybee is Utah's official state insect. 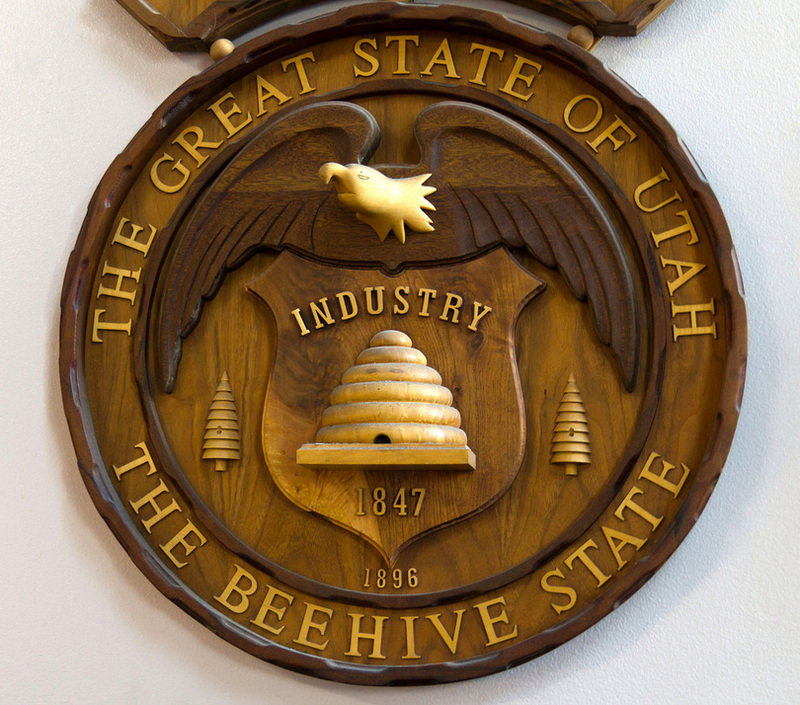 Plaque displaying the center of Utah's great seal (with the state motto: Industry), and the state nickname on the outer ring (The Beehive State); photo by Photo Dean on Flickr (noncommercial use permitted with attribution / no derivative works). Stained glass in Salt Lake City, Utah featuring beehive - photo © bookchen on Flickr - noncommercial use permitted with attribution / no derivative works.